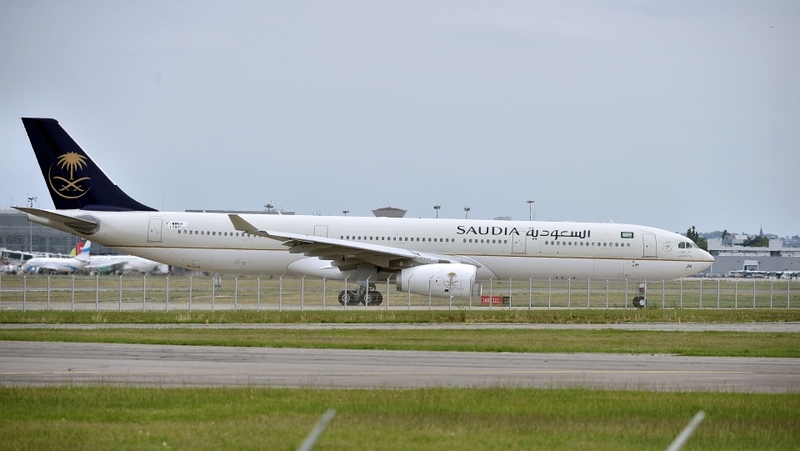 TORONTO -- The diplomatic gulf between the federal government and Saudi Arabia widened to encompass travel on Tuesday as the country's state airline announced it was suspending operations in Canada. The airline currently operates at least two routes flying out of Toronto's Pearson International Airport -- one to the Saudi capital city of Riyadh, the other to the city of Jeddah. Transport Canada did not immediately respond to request for comment on the development. Saudi Arabia stunned officials on Sunday by announcing that it was suspending future trade with Canada and severing diplomatic ties. It recalled its envoy from Ottawa and gave Canadian Ambassador Dennis Horrak 24 hours to leave the country. The dispute ostensibly arose because of a tweet issued by Canada's Global Affairs ministry decrying the arrest and detention of two female bloggers and activists. "Canada is gravely concerned about additional arrests of civil society and women's rights activists in Saudi Arabia, including Samar Badawi," the tweet said. "We urge the Saudi authorities to immediately release them and all other peaceful human rights activists." The Saudi Foreign Ministry took exception to the use of the term "immediately release," calling it "unfortunate, reprehensible, and unacceptable in relations between states." "Any other attempt to interfere with our internal affairs from Canada, means that we are allowed to interfere in Canada's internal affairs," the Saudi government said. "We are always going to speak up for human rights, we are always going to speak up for women's rights and that is not going to change," Freeland said from Vancouver on Monday. Media reports also suggest Saudi Arabia may cancel thousands of scholarships for students currently attending school in Canada. Freeland has said it would be "a shame" if funding were to be withdrawn, but offered no confirmation on whether or not the reports were accurate.